I was recently contacted by Cherish, the creator from raspberrymint. We decided we would collaborate together to bring some recognition to her new line of Canadian, cruelty-free, organic, chic, classy, and natural products. 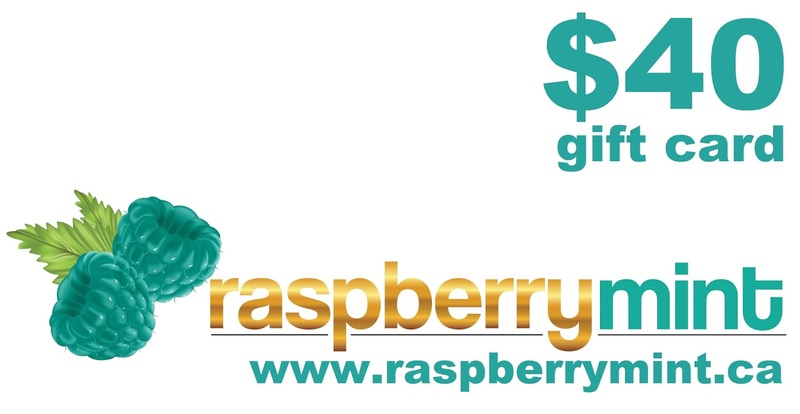 I would provide you all with some information about her company, and FIVE of you guys will get the chance to win a $40 (electronic) gift card, to shop on raspberrymint.ca ... how exciting is that!? So stick around a little longer, find out some information about Cherish and the company, and then enter to win! It will be so easy! Just a little back story on Cherish, and the company raspberrymint. Say hello to the creator of raspberrymint: Cherish, a Registered Nurse with a passion for providing chic, safe and cruelty free products for the modern woman. Cherish has graduated from the University of Toronto with a Bachelor of Science (Major in Psychology and a Double Minor in Biology and Sociology) in 2009 and York University with a Bachelor of Science in Nursing in 2013. Having graduated among the top 15% of her class, Cherish is a member of the Golden Key International Honour Society, established in 1977. Post-university studies, for professional development, Cherish has also completed a Leadership Certificate from the University of Waterloo. During my entire teenage years and early twenties, not once did I ever consider what I was putting on my skin when I applied body lotion or deodorant. Now as I have matured and gotten older, it sometimes shocks me to read the amount of chemicals that are embedden within almost every product that we utilize on a daily basis. I never knew deodorant (which we all need) had so many chemicals! It is surely no surprise and very great to see natural and organic products becoming more and more widely available as many are now collectively considering that what we put on our skin is as important as what we eat and put within our bodies. raspberrymint is meant to provide chic, classy products to the modern woman. Products that have not been tested on animals but safely tested on myself, friends and families for the sole purpose of providing beauty and skincare products that have no chemicals. As a Registered Nurse in Canada, it is also my ethical responsibility to engage in harm reduction to the best of my ability as one of the foundations of my entire nursing education and career is to promote health and well-being. By providing safe products for women, it is my hope that raspberrymint will inspire and empower women to make healthy choices for themselves and their families. This choice may be as simple as switching from a chemically-laden deodorant to one that is all natural. Our health is surely affected by the quality of the air we breathe, the food we eat, our lifestyle choices and no doubt, the products we put on our bodies. In addition to drinking enough water for hydration, there are many organic and natural ingredients such as organic jojoba oil, argan oil, coconut oil, etc that do amazing wonders for the skin, lips, etc. By utilizing fine ingredients such as those, raspberrymint aims to provide products that moisturize, nourish and hydrate to promote healthy looking skin, lips, feet, etc. raspberrymint represents eco-friendly luxury products that are great for us. 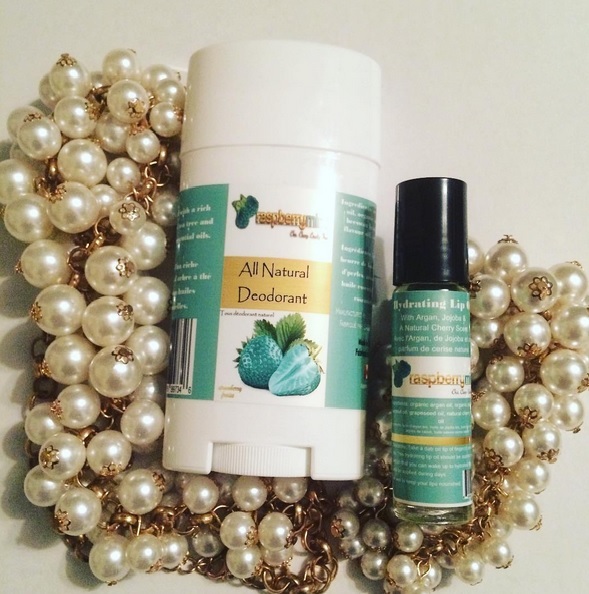 Products that are beautifully made and handcrafted in small batches. Products made with high quality natural and organic ingredients; with some products packaged in a stunning, glossy, premium box. Raspberrymint delivers products made with only the best. Natural. Organic. Chic. Classy. Cruelty-free. There are some very nice products that are listed on raspberrymint. I'm jealous that you guys have the chance to win! There is a couple of items I have my eye on! If you're interested in winning a $40 gift card to raspberrymint, then there are just a few steps you need to complete in order to be entered to win! Both of these steps are required in order to be entered! The giveaway will only be open to Canadians, until Thursday December 1st, 2016 at 11:59pm. The five winners will be chosen, and announced by Cherish on the raspberrymint Facebook page on Friday December 2nd. Electronic gift cards will be emailed to the winners within 24 hours of the closing date. I will also post the list of winners here!